The next round of negotiations between China and ASEAN on the Code of Conduct (COC) in the South China Sea is expected in the first quarter of this year. According to Reuters, which claimed to have seen a negotiating draft of the COC, Vietnam hopes the agreement will outlaw China's many steps across the disputed waters recently, consisting of artificial island construction and missile deployment. It also reveals Vietnam is trying to prohibit any new Air Defense Identification Zone. Additionally, Vietnam wants to clarify the "nine-dash line" according to international laws in the COC, which is proposed by China. There is a difference in China and Vietnam's positions on the South China Sea. China adopts a comprehensive stance in dealing with the dispute, taking historical claims as well as UNCLOS into account. Vietnam's claim relies more on Western ideas, such as UNCLOS, instead of referring to history, which Hanoi used to base its proposals on. Vietnam is trying to internationalize the dispute by seeking support of other claimants and international powers like the US to contain China. Vietnam's new claim on the COC is consistent with this shift. The provisions that Vietnam is pushing for reflect its security concerns toward China and its opposition against Beijing's construction of artificial islands, although recent friendly ties mask these conflicts. Last November, China appealed to complete negotiations before 2021. In 2020, Vietnam will hold the ASEAN chair, which will be a significant time for COC negotiations. Hanoi will be under certain diplomatic and political pressure then. It is Vietnam's tactics to put forward its claims first to have the upper hand in negotiations. 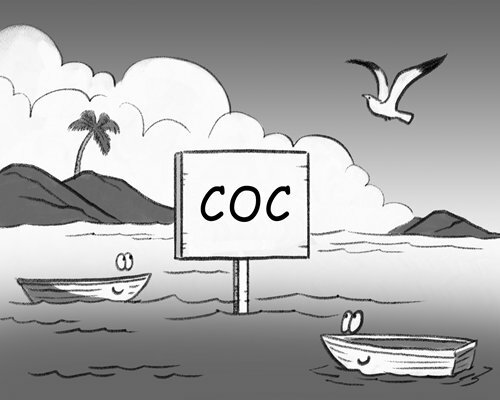 Obstacles, such as Vietnam's recent claims, are inevitable with the further development of the COC. In other ASEAN countries, like the Philippines, there are a group of people asserting that Manila and other bloc nations should fully support Vietnam's stance against China in negotiating the COC. Albert Del Rosario, who was foreign affairs secretary of the Philippines and led efforts to take the dispute with China before an international arbitration tribunal, is one of them. However, the Philippines under President Rodrigo Duterte has adopted a relatively friendly attitude toward China. Hence, the country is unlikely to back Vietnam's proposal. Beijing has close economic and trade ties with Manila and is its largest trading partner. The Philippines tends to be neutral in diplomacy, including in disputes between China and the US. Therefore, Manila is unwilling to alienate China and ferment more tensions on the South China Sea. Another important claimant is Malaysia, which has always adopted practical diplomacy, especially after Prime Minister Mahathir Mohamad took office. Mahathir is likely to support Vietnam's proposals but it is impossible for him to take the lead and strongly back them. Last July, Mahathir announced the cancellation of three Belt and Road initiative projects: the East Coast Rail Link and two gas pipelines, the Multi-Product Pipeline and Trans-Sabah Gas Pipeline. Currently, Kuala Lumpur is experiencing a run-in period with Beijing. But a big row with China on the South China Sea is not consistent with Malaysia's interests. When dealing with the divergence with ASEAN in COC negotiations, China should achieve trade-offs. Faced with the strategic environment of fierce China-US competition, strengthening ties with neighboring countries is China's basic strategy. The South China Sea issue cannot be avoided when communicating with ASEAN members. Except for maintaining some fundamental principles, including historical claims, artificial islands under construction, which Beijing cannot make a compromise with, China can ease tensions on other fronts to win ASEAN's trust.